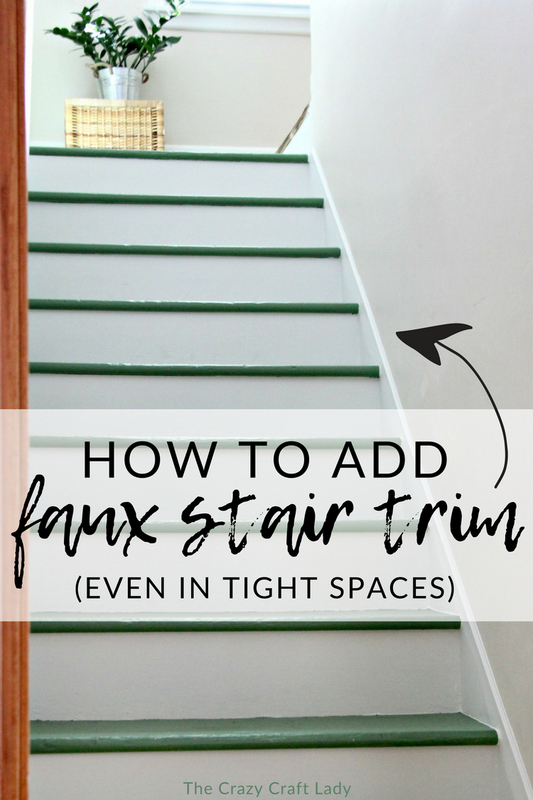 Adding your own DIY stair trim is easier than you many think. 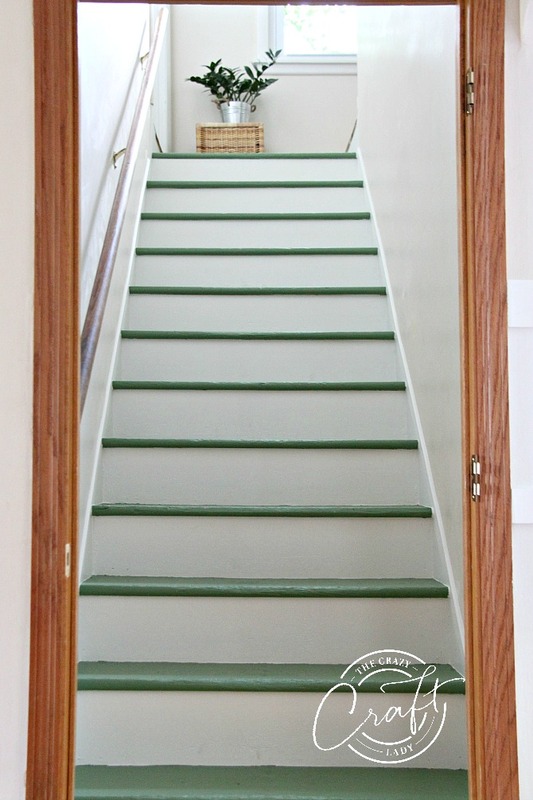 Follow this tutorial to add a “faux” stair skirt board to your steps. 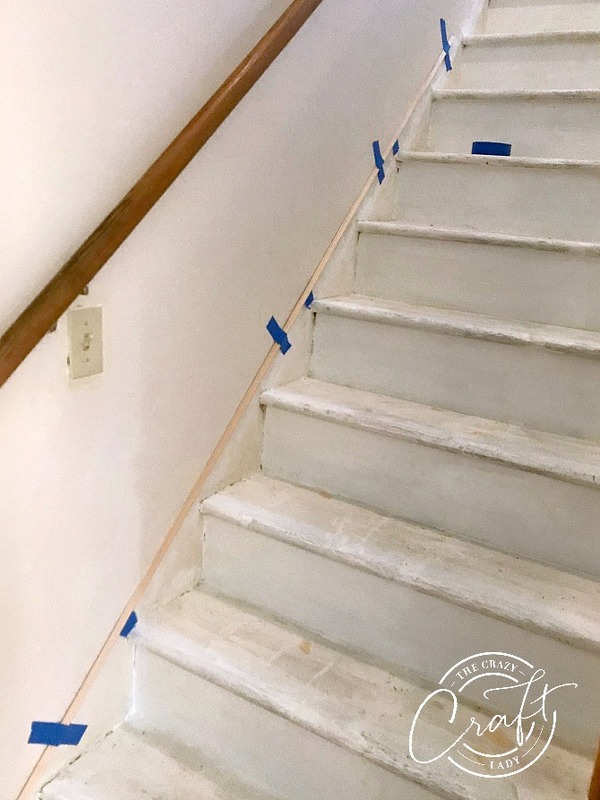 DIY Stair Trim – My stairs look 100% better with this “faux” stair skirt board added, since adding traditional trim wasn’t an option. When we first moved into our new house, I knew the first thing that needed to be addressed was the steps leading upstairs. 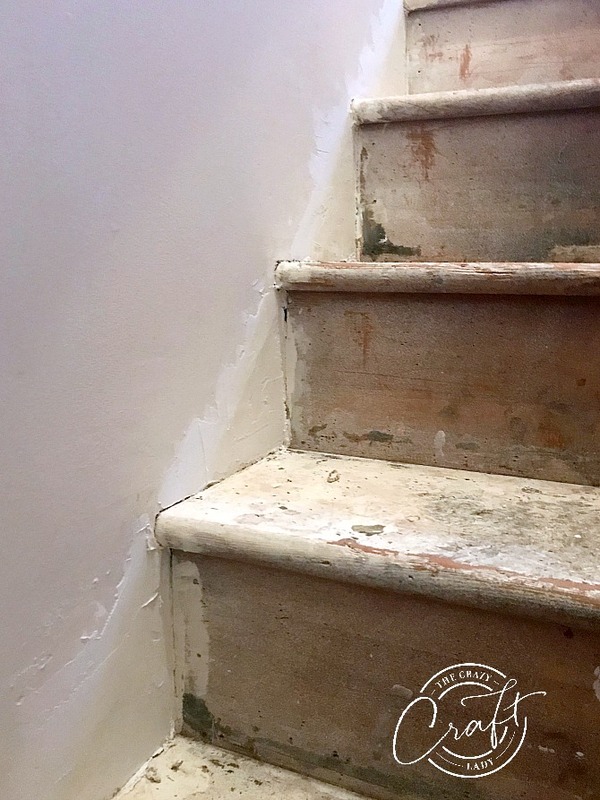 We had the upstairs floors professionally re-finished, leaving just the stairs for me to handle. 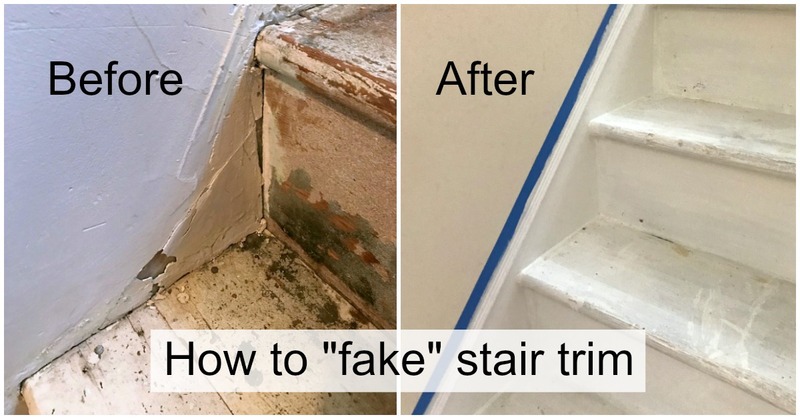 Aside from painting the stairs green, I knew this issue of baseboard trim or a “stair skirting board” needed to be addressed. As you can see, the walls around the stairs were in pretty rough shape. We just didn’t have it in our budget to rip out these stairs and re-do everything. So, I had to get creative. For less than $50 in supplies, I was able to add my own DIY trim and fake the look of a stair skirt board. 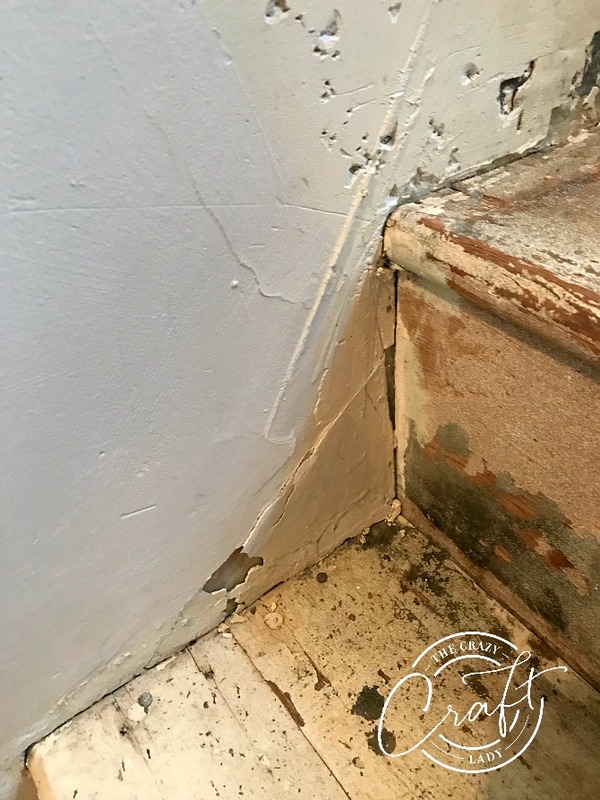 Once you have a smooth wall surface and have filled any gaps between the stairs and the wall with caulk, then you can get started with the trim. I purchased this ornamental moulding from Home Depot. I used about three pieces, so this part of the project only set me back about $15. 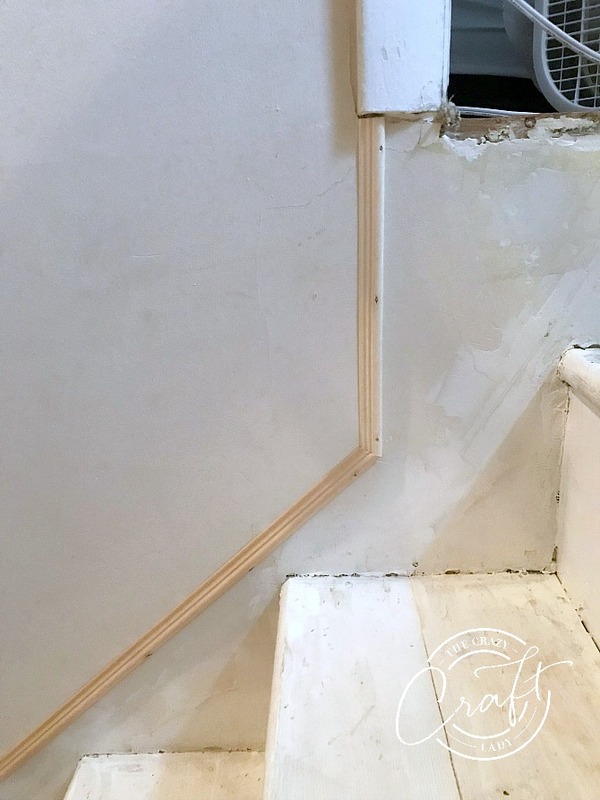 Use a hand saw and miter box to cut the moulding at an appropriate angle to match the trim at the top/bottom of your stairs. In my case, I was working with a door frame at the bottom, so I cut a simple 45-degree angle. Since the moulding is so light, you can just tape it right to the wall. Then go back with your brad nailer, and secure with small brads every 12-18 inches. If any of the nails stick out, carefully set them with a nail setting tool. Then use wood filler to fill in the nail holes. Lightly sand, and you’re ready for paint. Don’t forget to cut the moulding at the right angle to meet with whatever trim or door frame you may have at the top/bottom of the stairs. ** I also used DAP latex caulk along the edge of all of the stairs, since I had significant cracks and gaps. Tape off a line above the moulding. Then prime and paint the moulding along with the wall below the moulding. Once everything is painted the same color, if will give the effect of being a solid piece of solid wood trim. 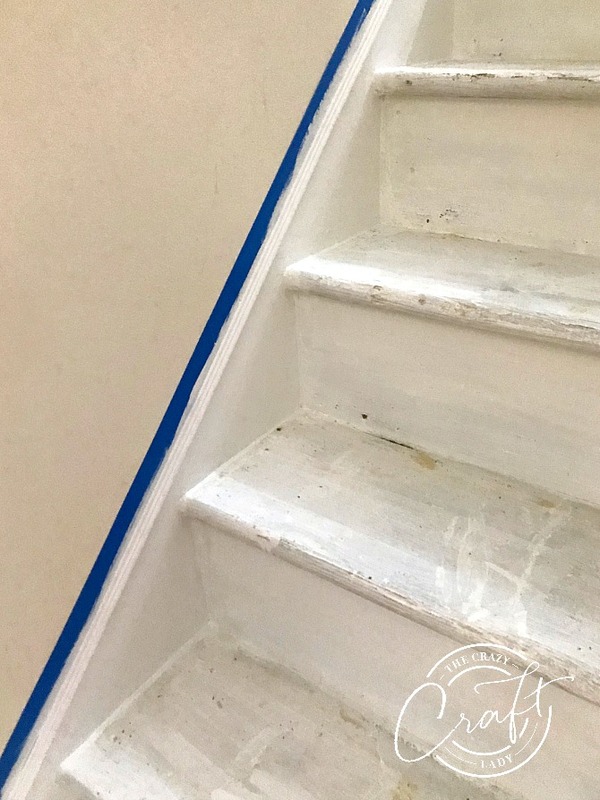 This DIY stair trim project was part of a larger project – Re-Finishing and Painting our Stairs. It all turned out so much better than I expected with our measly $100 budget, and you can read more about that here.